Wash and soak the basmathi rice for 1/2 hr. Heat the oil in a pan/cooker. Test the oil by adding one cumin seed; if seed crackles then your oil is ready.Add cumin seeds. The sheer smell of cumin seeds frying in hot oil makes it more appetizing . Add cloves, cinnamon, cardamom, bay leaves and stir for few seconds. Next add the rice. Stir-fry for 2 minutes. Add required water and salt, bring to a rolling boil and turn the heat to low. Cover the pan. If you use cooker just close the lid and wait for the whistle. 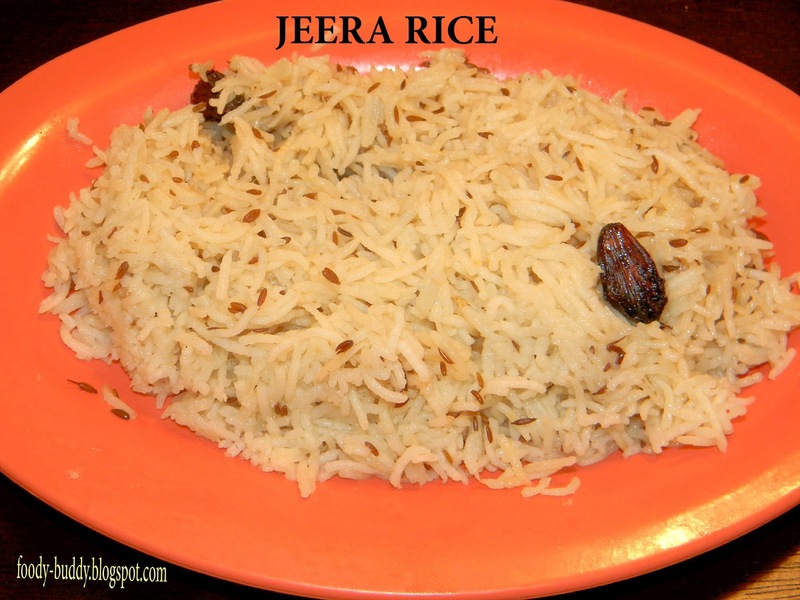 In stove top, Cook for about 15 minutes, or until the rice is tender and the water has evaporated. Turn off the heat and fluffy rice is ready. Take a big pan and heat the oil. Test the heat by adding one cumin seed to the oil. If it crackles then oil is ready. Add cumin seeds and then add “To Grind” ginger chillies paste. Fry for about 2 minutes. Add peas, carrots, paneer and beans. Let them cook for about 4-5 minutes, by closing the lid. Stir occasionally and wait till vegetables are soft. Add garam masala and stir well. Turn off the heat and add lemon juice. 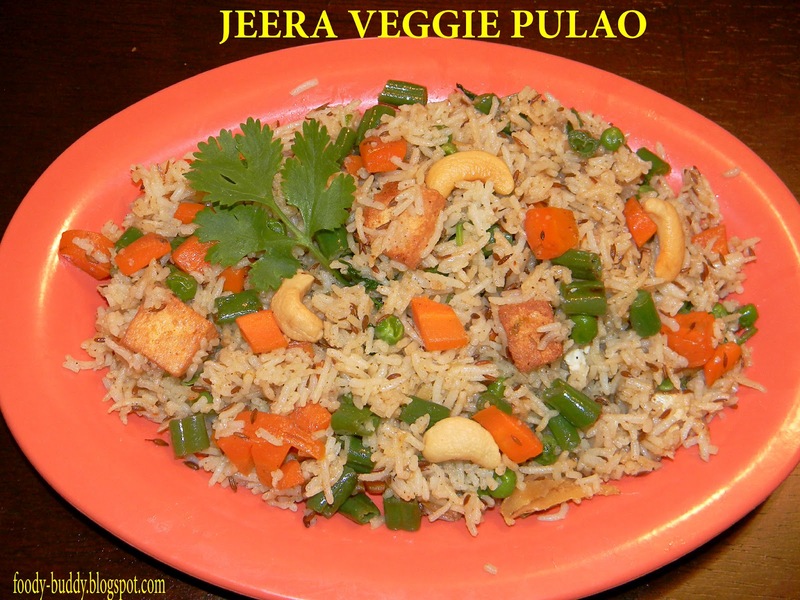 Finally transfer the jeera rice into the vegetables masala Hot Vegetable Pulao is ready. Garnish the rice with chopped cilantro or coriander leaves and fried cashews. You can add onion and garlic if you want. This entry was posted in Lunch Box Items, No Onion No Garlic, North Indian Recipe. Thank u Nandhitha Karthik for your valuable comments…Try all my recipes and give me your feedback..